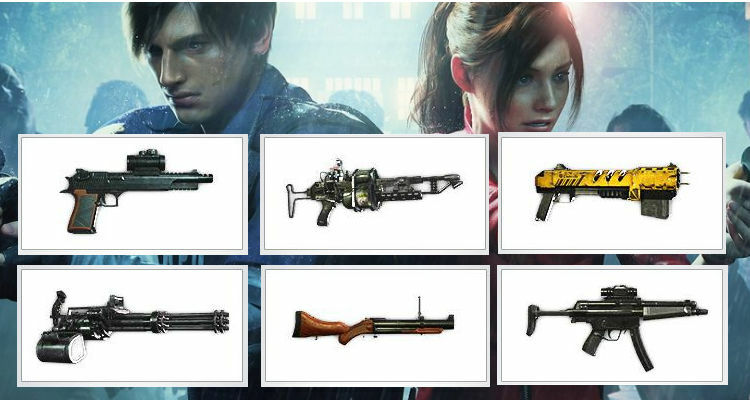 The PS4 version of Resident Evil 2 contains over a dozen weapons, most of which were brought forward from the original game but with one notable exception and four additions. All of the games weapons have optional upgrades which help to improve attributes such as mag size, recoil etc. 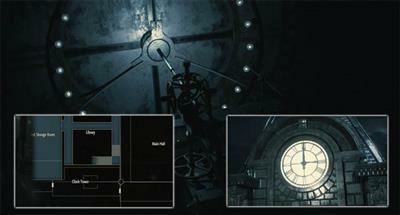 In this guide you'll find a complete list of every weapon included in RE2 Remake. This guide is going to focus on the different types of weapons - if you're wondering how to find each of the weapons then look out for the individual detailed guides for obtaining them. For example, there's a guide for accessing the locked cabinet inside the Police Department to acquire the shotgun. I'll add links beside each weapon where appropriate. 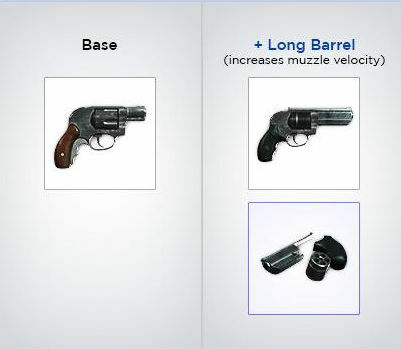 In RE2, the majority of weapons have one or more potential upgrades. Upgrades are completed by finding the appropriate part and attaching the original weapon and part together. For example, Leon's pistol can be upgraded for more stability (less recoil) by finding the stock part and attaching it. Other upgrades can modify the weapons ammo, such is the case for the grenade launcher. Leon's standard pistol in RE2 is based on the real world H&K VP70 variant. Players start with this weapon in their inventory and its useful for the games less offensive enemies such as standard zombies. Pistol ammo is a common collectible throughout the game making the pistol a frequently used weapon. Several upgrades can be applied to this weapon, so if you want to use stock, muzzle brake and extended mag, then you can. 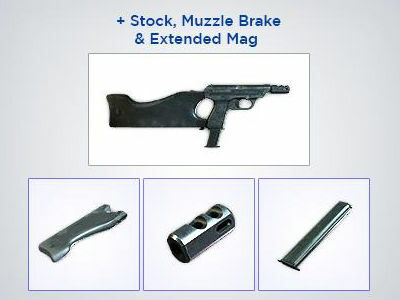 Muzzle Brake - open the safe in the Waiting Room, second floor. Safe combination: 6 Left, 2 Right, 11 Left. High Capacity Mag - open Leon's locked desk drawer in the West Office (1F). See combinations guide. Claire's revolver is a new entry in RE2 Remake. It's a 5 shot revolver with a single upgrade. This handgun is a compliment to the base handgun for Claire (the Browning) which was present in the original game. The weapon only has a single upgrade and there's no option to improve recoil or stability. Open safe, 2F in the east entrance under a desk. Safe code is: 6L2R11L. Also appearing in the original RE2 game, Claire's Browning is similar to Leon's base handgun and she starts the game with it in her inventory. The Browning has two available upgrades: one for extended mags and another for a laser sight. You can use both attachments simultaneously but there's no comparable stock attachment like Leon's. Reinforced Frame - safe in the Treatment Pool Room of Sewers. Safe combination: 2 Left, 12 Right, 8 Left. Extended mags - open the safe in Waiting Room, second floor. Safe combination: 6 Left, 2 Right, 11 Left. This pump-action shotgun is called the W-870 ingame but it is infact a Remington 870. Brought forward from the original RE2 game and thus making a reappearance in the Remake, the shotgun is a powerful but slow loading weapon that's worth carrying throughout the game. 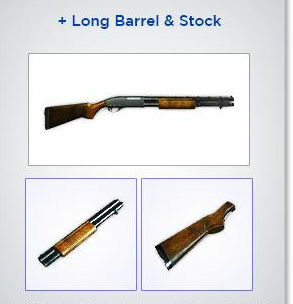 In the Remake, the shotgun has two possible upgrades. Players can improve the weapons range, a common drawback for shotguns, but also improve the recoil through an additional attachment. Stock - safe in the Treatment Pool Room of Sewers. Safe combination: 2 Left, 12 Right, 8 Left. 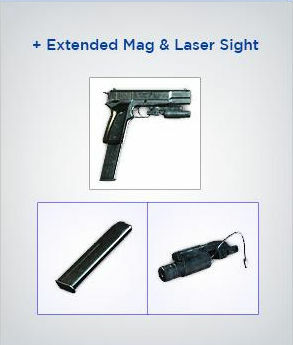 The submachine gun (MAC-11) is another weapon brought forward for the Remake. The standard submachine gun is a fast firing, light damage weapon that's crammed with ammo capacity. Although weaker than the pistol, the large magazine size makes it suitable for a range of enemies. The Magnum is a returning weapon and arguably one of the best. Being a high calibre handgun, it is inherently powerful. However, the Magnum only holds 8 shots and additional ammo is scarce in the game. It's therefore a weapon for particularly tough opponents or times of crisis. Follow the Magnum walkthrough guide for acquiring this amazing weapon. A single fire grenade launcher that returns from the original game, albeit with one possible exception. According to the game files, the grenade launcher comes with either Acid or Flame rounds but no ordinary explosive rounds. Although surprisingly less powerful than the Magnum, the grenade launcher has the advantage of better crowd control and the Acid rounds are particularly menacing. There's a single attachment upgrade for this weapon if we consider that ammo types are not upgrades. We don't know whether this weapon is usable just yet, but it looks likely to be a reward of some sort in the Remake. The MP5 weapon returns from the original game where it was briefly shown during cutscenes. Update: This machine gun is usable in the Hunk (4th Survivor) mode which is unlock by completing a B scenario. The flamethrower is a common weapon in the Resident Evil series having made an appearance in the original RE2 game, the newer RE7 in 2017 and now the RE2 Remake. Unlike other weapons, the Flamethrower has no spare ammunition in the game and thus ammo is instead represented as a percentage bar, which when depleted, the weapon becomes useless. It appears that only Leon can get the Chemical Flamethrower weapon, in the latter half of the game. The Spark Shot is the games unconventional weapon. It's an electric stun gun with a short range but powerful debilitating effect. Like the Flamethrower, the Spark Shot comes with a percentage bar for ammo since no spare ammo can be found. Once empty, it also becomes useless so players must use ammo wisely. It seems that only Claire can get the Sparkshot weapon near the end of the game. The weapons below are all included in the Remake, some of which are particularly interesting. The powerful AT and M202 Flash are the games Rocket Launcher variants whilst the Minigun is likely to be a reward for completing the games time and skill challenges.